Alienware m15 is its Lightest and thinnest 15" gaming laptop. Today, Alienware announce the launch of Alienware m15, its lightest and thinnest 15" gaming laptop, with industrial design featuring magnesium alloy surfaces. The Alienware m15 is available in Epic Silver and Nebula Red. The Alienware m15 is the lightest and thinnest 15" gaming laptop ever from Alienware and the best solution for gamers who prioritize weight and thinness allowing for even more portability. Its sleek design features a narrow side bezel to maximize screen space and another first, a numeric keypad on a sub-17" Alienware laptop. The new Alienware mSeries keyboard even features 1.4mm of key travel, anti-ghosting keys and four Alien-FX enabled zones to light up the room during any gameplay, while also supporting in game lighting reactions for over 150 game titles. 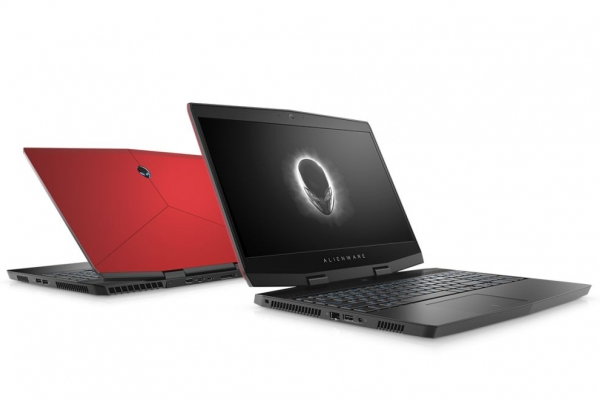 The Alienware m15 cranks up the performance with 8th generation Intel processors and NVIDIA GeForce GTX 1060 OC and 1070 Max-Q graphics cards capable of VR and beyond, with additional support for the Alienware Graphics Amplifier. It comes with Alienware Command Center technology with AlienFX customizable RGB-lighting across six unique zones, Alienware Cryo-Tech 2.0 for superior thermal management, and while on idle up to a maximum of 17 hours of battery life with the optional 90Whr battery. The Alienware m15 goes for sale globally on October 25, starting at $1,299 USD, direct from Alienware.com and in retail stores.